No matter how many times we’ve cruised and how much of an expert we think we are there will always be those things that can really annoy us when trying to get an elevator or even using them. The easiest way to get angry, upset, frustrated and annoyed is by our fellow passengers and sometimes even the crew. Sometimes they don’t even realize that they are annoying us or have done something to make us angry. 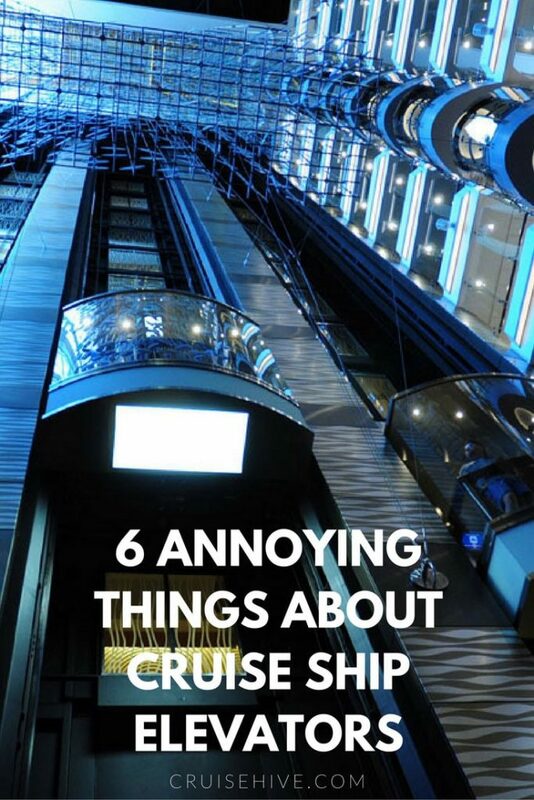 So let’s take a look at some things that can be annoying when it comes to cruise ship elevators. This is probably one of the most common things that annoy passengers onboard a cruise. So you’re waiting patiently for an elevator and have been standing in the middle of the foyer so you can grab the first elevator that arrives onto your deck. You then see an elevator that’s about to stop on your deck so you go and stand right in front of the doors then just as you’re about to walk in someone pushes right in front of you or what’s worse several people push right in front of you as if you’re invisible. But wait it can be a real nightmare as there is no longer any room for you to enter the elevator and those fellow passengers that just pushed in front of you are the ones who tell you “sorry there is no room”. Could that be any more annoying? we’re pretty sure everyone has their own story to tell about annoying moments when waiting for an elevator. 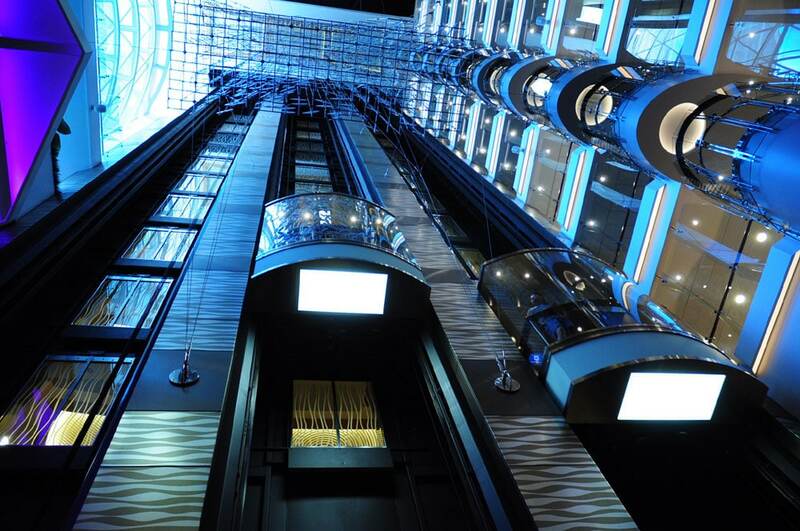 We all know that time to time work and maintenance must be done to the ship’s elevators so they can be in perfect working order for all the guests. Isn’t it annoying when it’s the evening onboard the cruise ship and it’s between dining times when you come across a ship engineer who has closed off one of the elevators to do some maintenance? At times engineers can be found changing the floor tiles inside the elevator or what makes it more annoying is that you see the engineers chatting away and laughing while there are a dozen or so guests waiting to go up or down. Of course, if it’s urgent repair work that is needed then it’s totally fine. 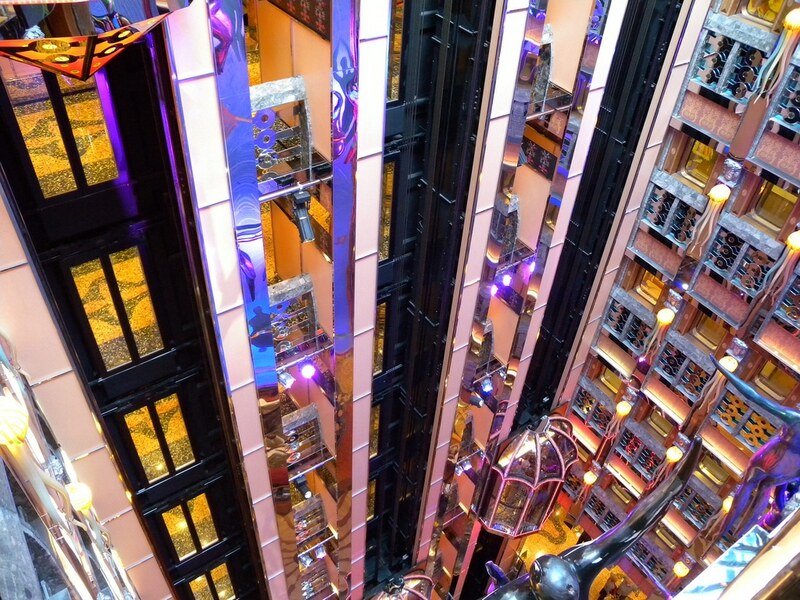 In most cases, work on the ship elevators is done during the port time when most of the guests are ashore. Oh yes, those kids are cute but can also be very annoying when it comes to the cruise ship elevators. When the parents are not around they can run wild onboard and even more so when friends are made with fellow young passengers. Often guests waiting for an elevator are met with a group of kids playing around in the elevators. Once inside all the decks are pressed before they run out and catch another elevator. The ship’s crew work really hard and this annoying thing isn’t really their fault but just something which will also annoy passengers. have you ever waited a while for an elevator and once the doors open you find it full of crew members. Sometimes they will even have trolleys of stock for their specific department. It can be annoying for the guest but there is a good reason for this and that is the crew elevators are terrible with only enough room for a few people let alone trolleys of stock. Also, the crew elevators are usually no more than 2 for each section so it’s faster for them to use one of the 6 passengers elevators at the aft, middle or front of the vessel. In fact, the crew is not always allowed to use passenger elevators and if caught by an officer (Hotel Director) they can be given a warning. How many times have you stepped into an elevator and seen ice cream on the floor or smothered all over the deck buttons! It’s very common and can be annoying especially when you don’t see it then find it all over your shoes or flip-flops. Sometimes even empty food trays are found in the elevators with plates piled up. While we’re on the subject of food have you ever seen leftovers on the floor? Yes, it happens and can make the elevator stink for hours. Elevator foyers can be a hive of activity especially between major shows or events but that doesn’t mean fellow passengers can be rude to each other and inpatient. Many times have guests not given any room to those stepping out of the elevator. At times some people have not been able to get off the elevator because the people stepping in don’t give any room. Situations like this are common in China and on many Subways but on an elegant cruise ship sailing the sea where people are enjoying a holiday of a lifetime it’s not acceptable. 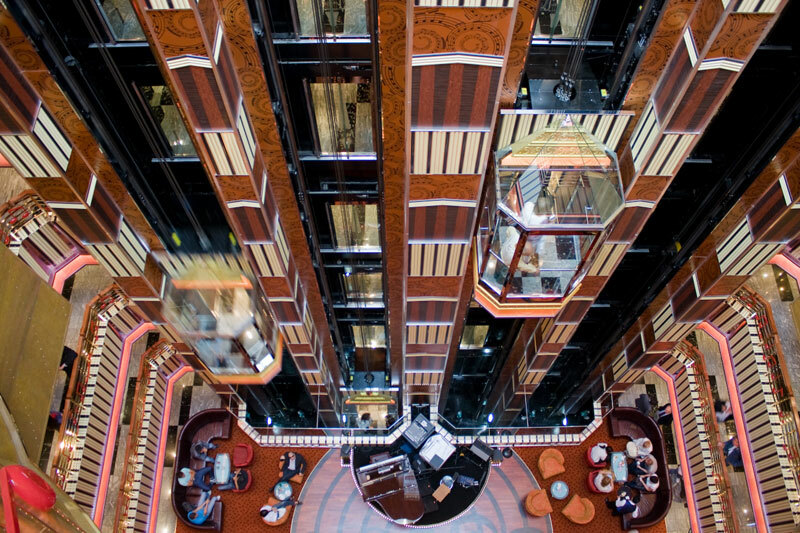 These are just a few rants we know of when trying to get an elevator or using them while onboard. Our tip is: if you’re able to just use the stairs no matter how many decks up or down your destination is, it will help you burn off all that tasty ship food. Everyone has their own experience so please feel free to add some in the comments below.